Before the 1940s, leather motorcycle jackets were seen as culturally neutral, utilitarian garments. At the time, American motorcycle clubs were considered like any other social club — they were loosely organized associations through which young people could bond over shared interests. Taking part was considered a normal, healthy activity. That all changed in the summer of 1947, when about 4,000 motorcycle enthusiasts roared into the small California farming town of Hollister. They came for the annual Gypsy Tour, a three-day carnival of races and field events held over a Fourth of July weekend. Hollister was completely unprepared for the attendees that summer, since nowhere near that number showed up to previous years’ carnivals, and consequently, the small rural community was thrown into chaos. Over the course of three days and nights, bikers representing groups such as The 13 Rebels, The Pissed Off Bastards, and The Galloping Goose got drunk, brawled in the streets, smashed up bars and storefront windows, and participated in illegal drag races. They slept in haystacks, on sidewalks, and on people’s lawns. Hollister’s seven-man police force tried to keep things under control, but they mostly watched in horror as crazed, drunken crowds took over neighborhoods. By the end of the weekend, after state troopers were called in, about fifty bikers were arrested and sixty people were injured (one person had a skull fracture). The streets were awash in urine, beer bottles, and debris. 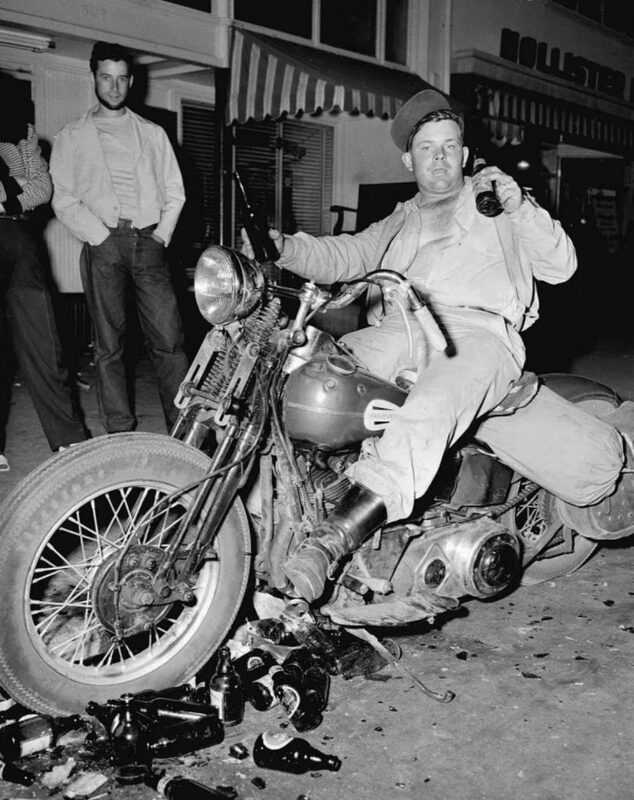 Shortly after, Life Magazine published a story about the event titled “Cyclist’s Holiday: He and Friends Terrorize Town.” One of the main photos was of a young biker, later believed to be Eddie Davenport, slouched astride his Harley Davidson, shirt open, and surrounded by broken beer bottles. He was wearing what looks to be a naval deck jacket, possibly a clue that he was one of the many ex-servicemen who joined motorcycle clubs after returning home from the Second World War. There’s some debate about whether media coverage afterward exaggerated the amount of violence and damage, but nevertheless, the event forever clouded the lens through which the non-riding public would see black leather jackets. After 1947, black leather jackets became the second skin of rebels — a symbol anti-conformist lifestyles, restlessness, and lawlessness. Small town residents worried about motorcycle “hoodlums” and potential rampages. Marlon Brando cemented the image of the leather-clad rebel in his role in the 1953 film The Wild One. “Brando’s pebble-kicking stride, his insolent sneer, the rakish angle of his cap, and the casual straddle of his bike, identify him as a challenger of society’s values,” Bruce Boyer wrote in his book Rebel Style. 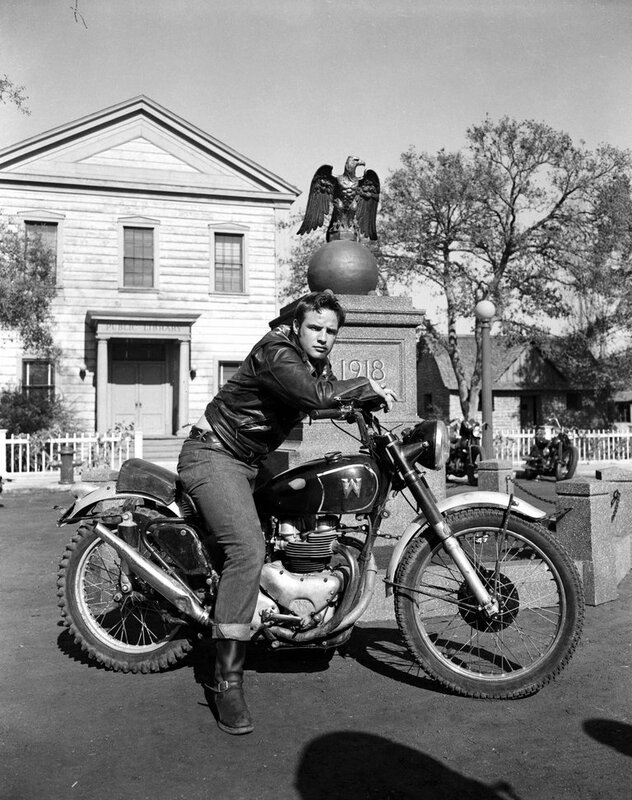 “[The Wild One] clearly shows the opening chasm between the middle class, concerned with refinement and decorum, and the outsiders who show their disdain for the status quo.” The Twilight Zone later had an episode where three leather-jacket-wearing, motorcycle riding strangers invade a peaceful neighborhood (they were later revealed to be aliens). Leather jackets have been part of every rebel subculture since — bikers, rockers, and outlaws; beats and beatniks; modernists and mods; hippies and bohemians; punks and skinheads. Those rebel associations hold remarkably strong today, even when conservative, establishment figures such as Cindy McCain and Sarah Palin wear black motorcycle jackets on TV talk shows. They’re also the reason why guys often pause when buying their first leather. They’re expensive, for one, and there’s always that nagging feeling that you might not be a “leather jacket kind of guy.” We like them because of their dark and dangerous associations, but worry that we’ll just end up looking like poseurs. 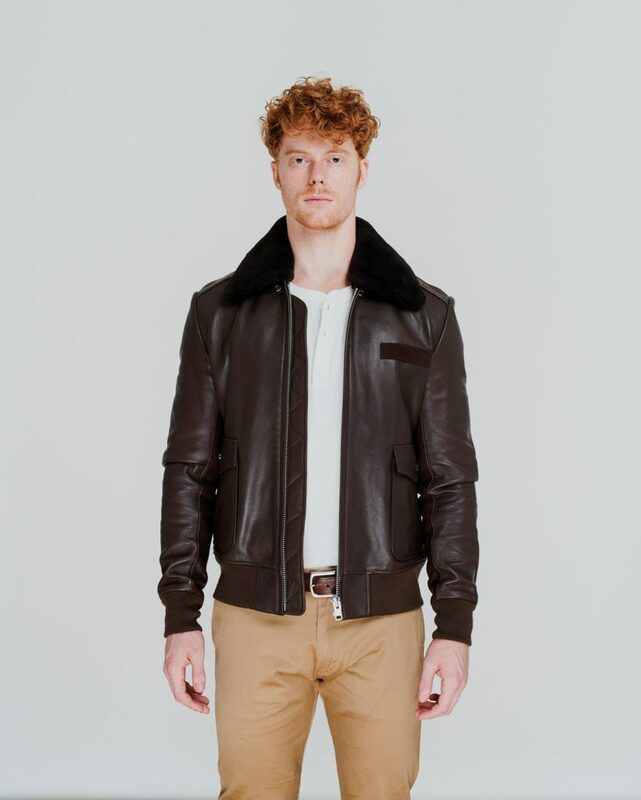 Flight Jackets: Flight jackets were originally made for the hide-busting activity of piloting aircrafts, but civilians have been repurposing bombers for almost a hundred years. The original pilot jacket was the A-1. The American Air Force originally spec’d it in a lighter weight capeskin, then finished the collar, hem, and cuffs with a knitted trim. The style’s most distinguishable characteristics include the button-front, which runs from the hem to the collar, and the stand-up knitted collar that helps frame the face. The A-1, however, was only used for a few years before being replaced by the more familiar A-2. During the Second World War, the US military issued thousands of A-2s to fighter pilots. 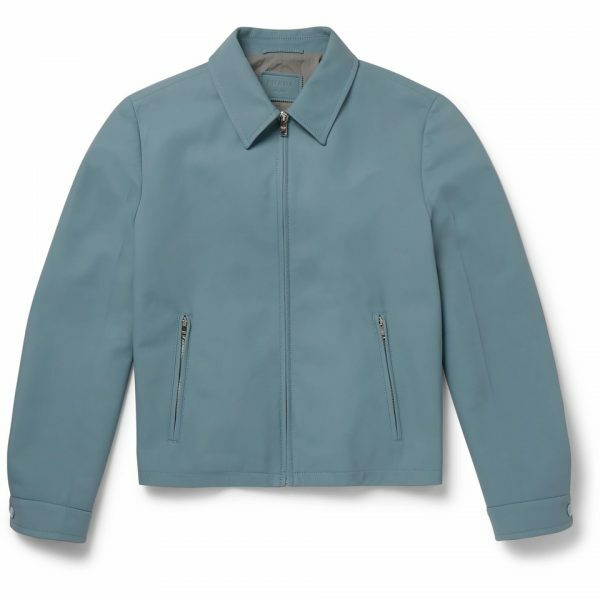 The jacket’s design replaced the button-front of the A-1 with a zipper and storm flap, and then changed out the stand-up knitted collar in favor of a shirt-style leather collar. The shoulders were given passants; the hem and cuffs retained their windproof knitted trims. 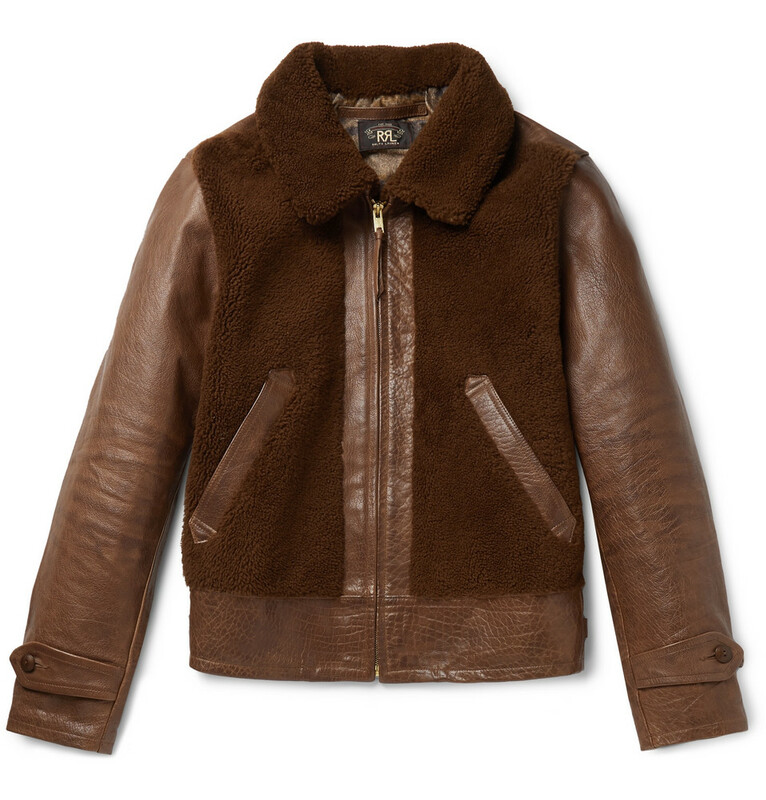 The A-2 is one of few clothing items that can legitimately be called iconic — for many, it is the leather jacket. 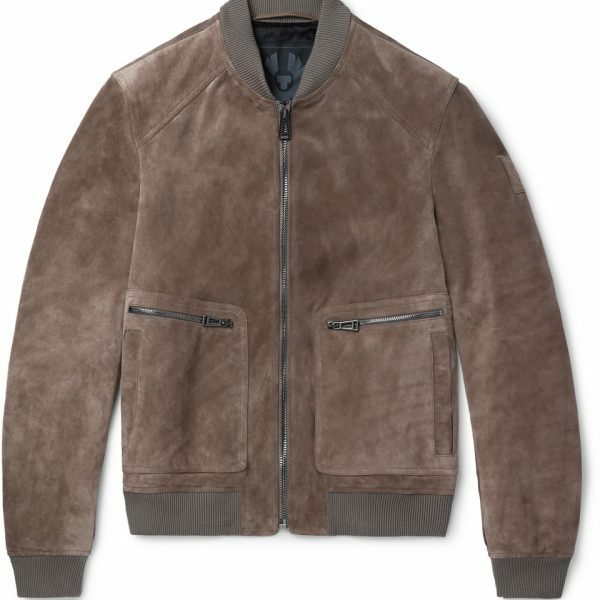 Like most bomber styles, the traditional A-1 and A-2 have blousy, slightly rounded silhouettes, although they generally look great on most men regardless of age or fitness. By virtue of its popularity, the A-2 is also so unobjectionable, it can border on boring, but a well-cut A-2 is a great entry point into leather jackets. The A-1 makes more of a statement while still hewing traditional. For something a little less common, you can hunt for a G-1 or MA-1. The G-1 started as the Navy version of the Army A-2, but while the Army version sometimes includes a detachable fur collar, the mouton (sheepskin) collar is standard on the G-1. The G-1 also omits passants and the storm flap, and it features button-through pockets rather than snap pockets. 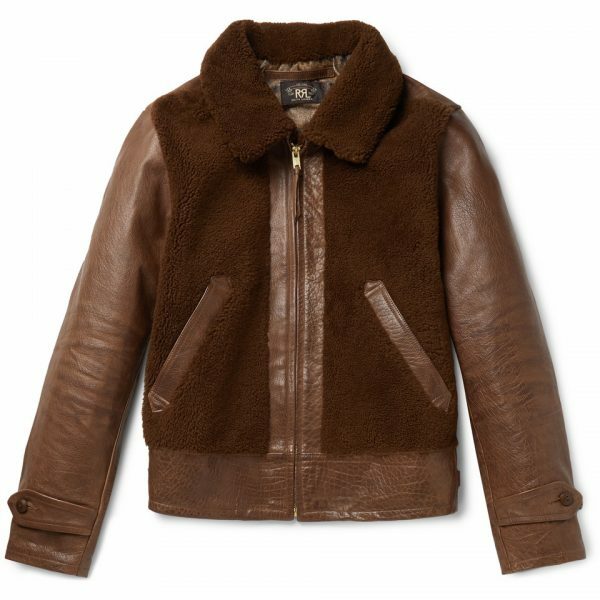 The MA-1, meanwhile, was originally a nylon, synthetic-fill, knit-collared jacket developed for the pilots. MA-1s became popular with punk rock kids and skinheads in the 1970s and early 1980s, and in leather form, they become a little more fashion forward. 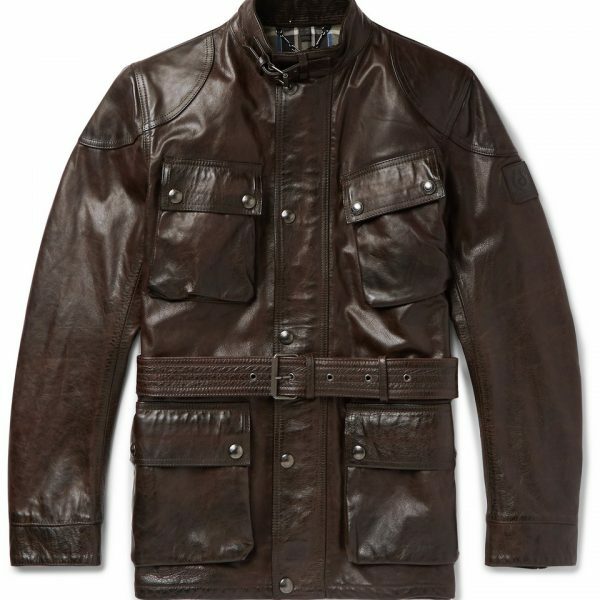 Motorcycle Jackets: Classic leather jacket styles often come out of the very practical purpose of driving or piloting some large piece of machinery. For moto styles, the earliest forms were actually repurposed A-1s, which drivers used to wear over their suits and sport coats. But as motor vehicles improved in performance during the inter-war years, and more men drove them, there was greater demand for tougher garments and different styles. Soon, Harley Davidson started producing a variety of “genuine” motorcycle jackets, and big retailers such as Sears, Robuck & Co., Montgomery Ward, and JC Penney added a section of “sport leather jackets” to their catalogs. This is when we start seeing things such as the double-rider and cafe racer. Double-riders derive from “lancer-front” motorcycle jackets, which feature a kind of double-breasted closure (where one side of the jacket overlaps with the other). Eventually, this style made it into asymmetrical zippered form, most iconically represented through Schott’s Perfecto (pictured on George above). Sometimes these styles have details such as snap-down passants, metal-buckled belts, D-shaped pockets, and fur collars. 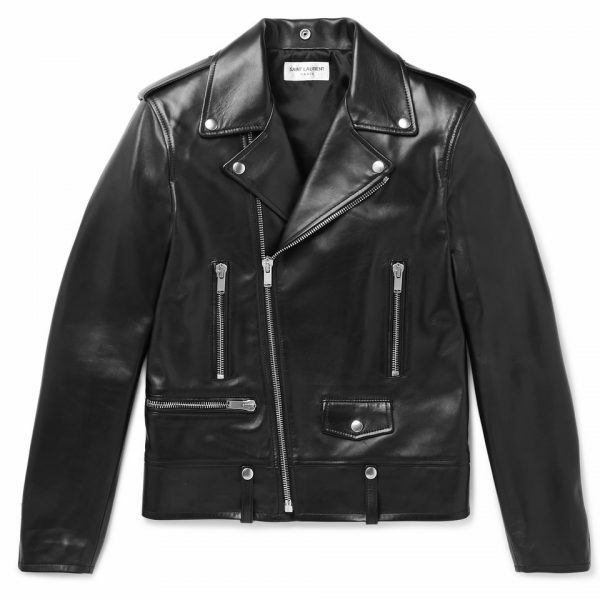 All things equal, the double-rider, particularly in black, is the most “aggressive” of all leather jacket styles, if only because of its connection to motorcycle culture and rock ‘n roll, but in softer leather forms, it’s also commonly used for fashion purposes. If double riders are too much for you, try a cafe racer, which is notable for its visual minimalism. The style was originally worn on circular or oval race courses comprised of wooden planks, where oil slick tracks demanded some kind of protection. Racers often wore flimsy, tight fitting, unlined leather racing shirts, which at some point metamorphized into the famous Buco J-100 and eventually what we now call a cafe racer. The style is typically sculptured to give a close fit, although not as close as early 20th-century shirt-style versions, and features zippered body pockets, zippered sleeves, and a simple, symmetrical zip front. Some have a reverse box pleat at the back to allow for easier movement on a motorcycle, although it’s not uncommon to see a plain back on fashionable cafe racers. 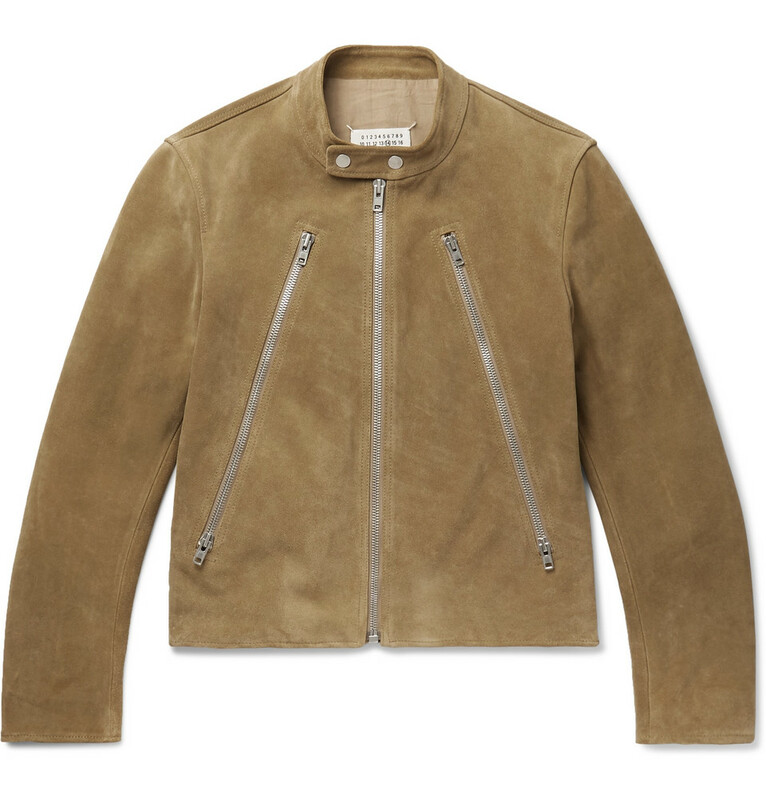 Other Styles: Flight and motorcycle styles aren’t the only leathers. There are about a dozen more that reach various categories. To run through a few. 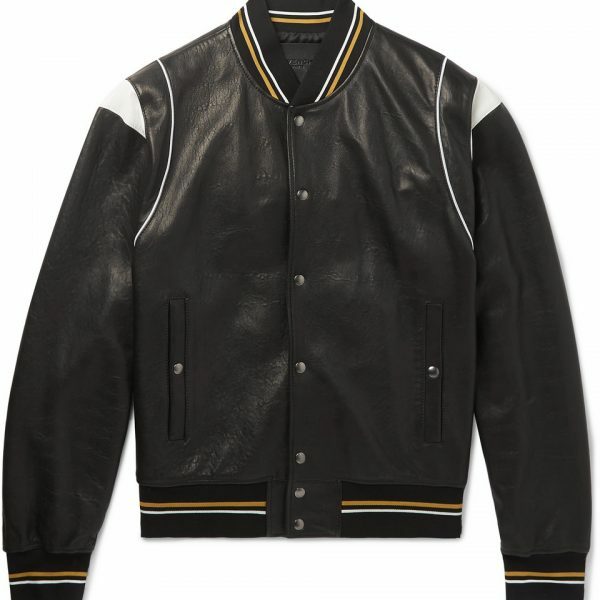 Classic and Contemporary: Varsity jackets, baseball jackets, and trucker styles occasionally come in leather. These styles are traditionally made from softer materials, such as cotton or satin, but in leather, they can feel a little more rugged or luxurious, depending on the detailing. Generally speaking, these styles are better suited to classic or contemporary wardrobes. Fencing: Adopted from a softer style of outerwear worn by fencers, leather fencing jackets usually have asymmetrical closures and a high collar. The style is much more avant-garde than what we normally write about here at Put This On, but goes well with dark, arte povera-inspired clothes from brands such as Rick Owens, Carol Christian Poell, and M.A+. 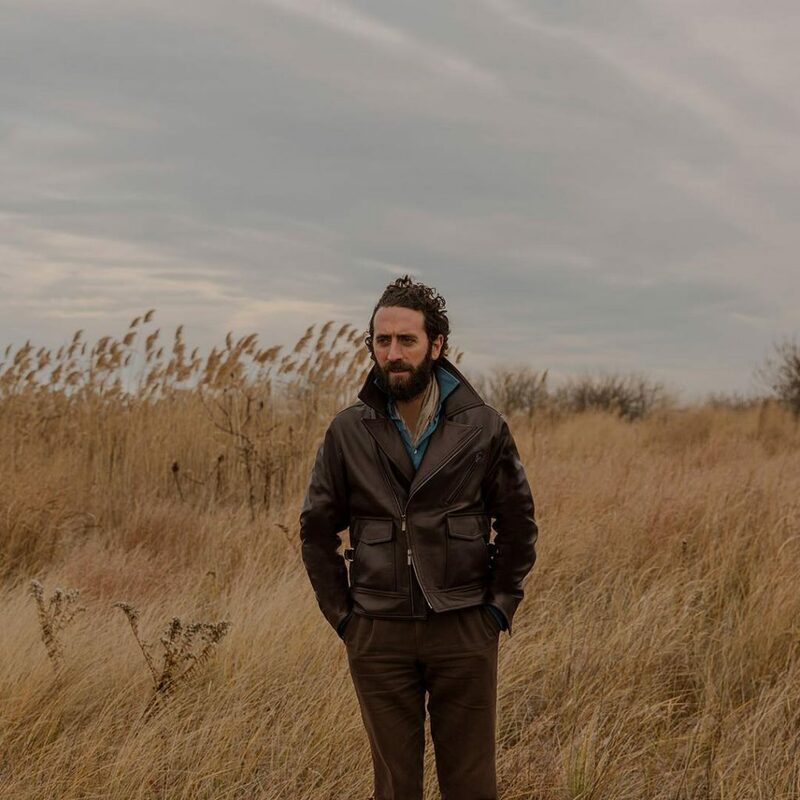 Workwear: Nearly every leather jacket roots back to some utilitarian design, but styles such as the grizzly jacket, field jacket, Cossack, and more unusual moto styles such as those inspired by the Belstaff Roadmaster are often more rugged than most. Tailored: Mostly relics of the 1970s, styles such as the leather sports coat, leather trench, and three-quarters length leathers are true high-risk, low-reward items. It’s possible to wear these things well, but they require such specific requirements, it may be better to look for something else. 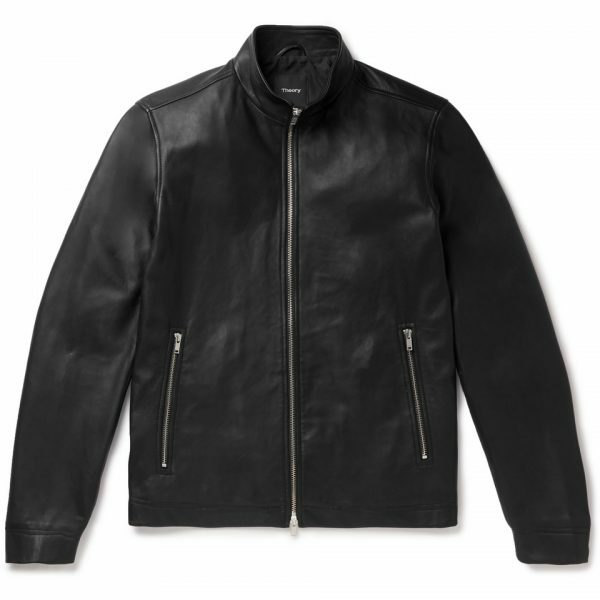 Tip: If you’re not sure about leather jackets, stick to the A-1, A-2, and cafe racer styles. Depending on their details, those can be more conservative and classic than most, making them suitable for casual offices and nights out on the weekend. Lambskin: Typically the softest and lightest of all leathers, lambskins are supple and luxurious feeling. They usually have very little grain, which makes them very smooth (with some exceptions, such as Rick Owens’ blistered lamb). They can be a little fragile, but unless you’re actually piloting planes or riding motorcycles, they’re fine for most lifestyles. Just don’t, you know, go scraping this against a stucco wall. Calfskin and Goatskin: A lot can depend on the tannery, but generally speaking, calfskins and goatskins are a little harder wearing than lambskin. They’re still fairly lightweight and supple, but they’re more tear resistant (although, at the same time, they don’t have the same buttery feel of lambskin). Calfskin is generally a smooth leather unless it’s been put through a finishing process. Goatskin, on the other hand, typically has a visible grain. Much like how Scotch and pebble grain shoes are a little more casual than calfskin footwear, goatskin leathers will also look a little less refined and dressy than lamb. Cowhide and Horsehide: The toughest and hardest wearing of all leathers. Original flight and motorcycle jackets were typically made from these heavier leathers, as well as goatskin, so they could offer more protection and stand up to daily use. These leathers will generally develop more “character” over time, whereas lambskin looks best when it’s in like-new condition. 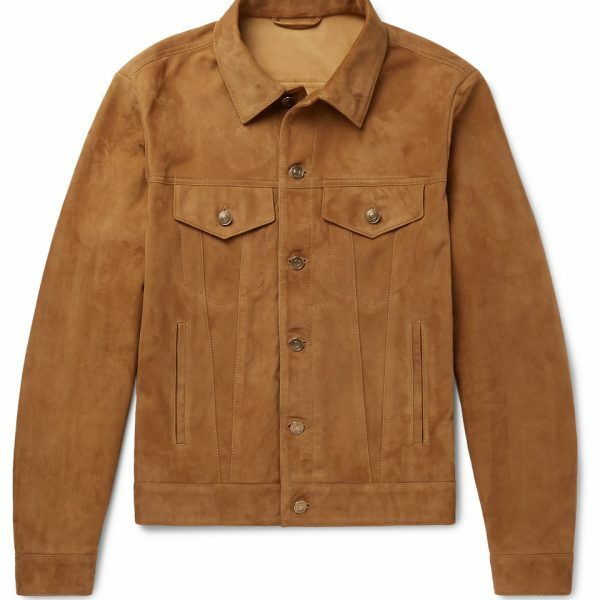 Cowhide and horsehide are good for guys who really want to feel their jacket on their shoulders, have something they can wear in tougher environments, and see how the leather breaks in over time. 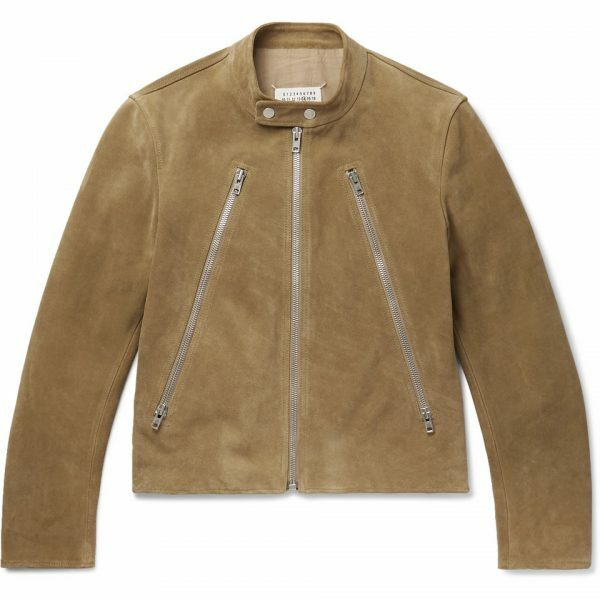 Suede: Almost any leather can be made into a suede. Sometimes it’s a reverse suede, which means it’s just the underside of a smoother leather; sometimes the top of a smoother leather has been sanded down to reveal its fiber core. Suede jackets are a nice way to add texture to an outfit, and they can look a little more approachable, but they stain easily and aren’t easy to clean. Be careful of getting one in a style that doesn’t lend itself well to patinas. When choosing a style, think of how a jacket’s design template and material come together in a way that works for your lifestyle and wardrobe. 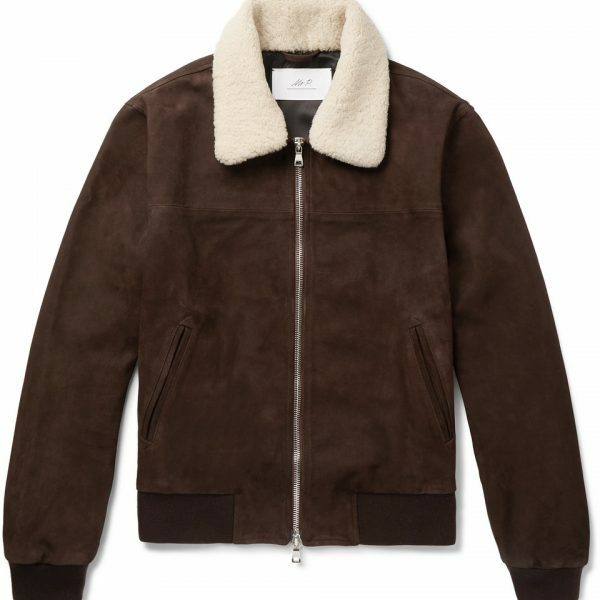 A rugged jacket, such as a goatskin bomber or cowhide cafe racer, can be worn with jeans, fatigues, and workwear-styled chinos. 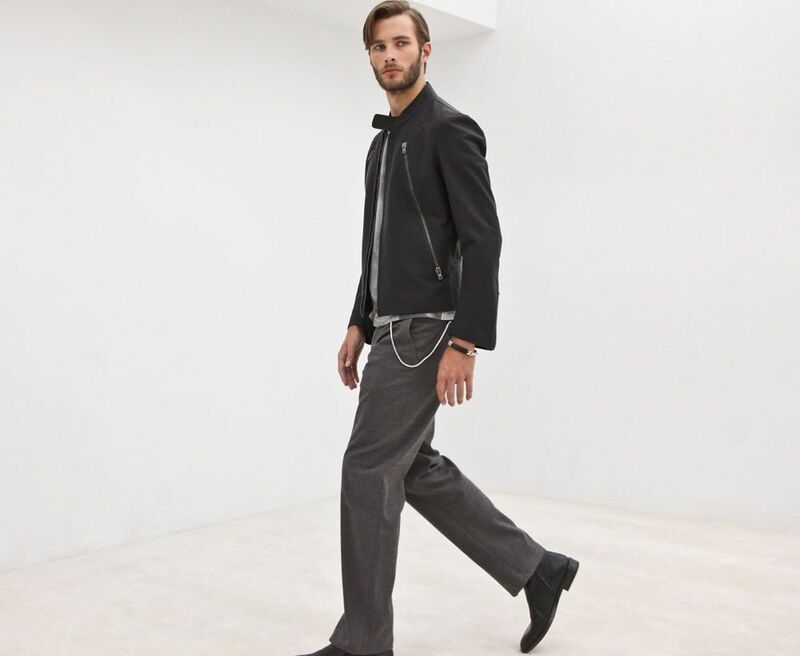 Dressier, slightly more conservative designs, such as a lambskin A-2 or cafe racer, on the other hand, can be worn with tailored trousers and dress shirts. In the photo of the Stoffa jacket above, you can see what a difference lambskin can make even for the most rugged of all styles, the double rider. 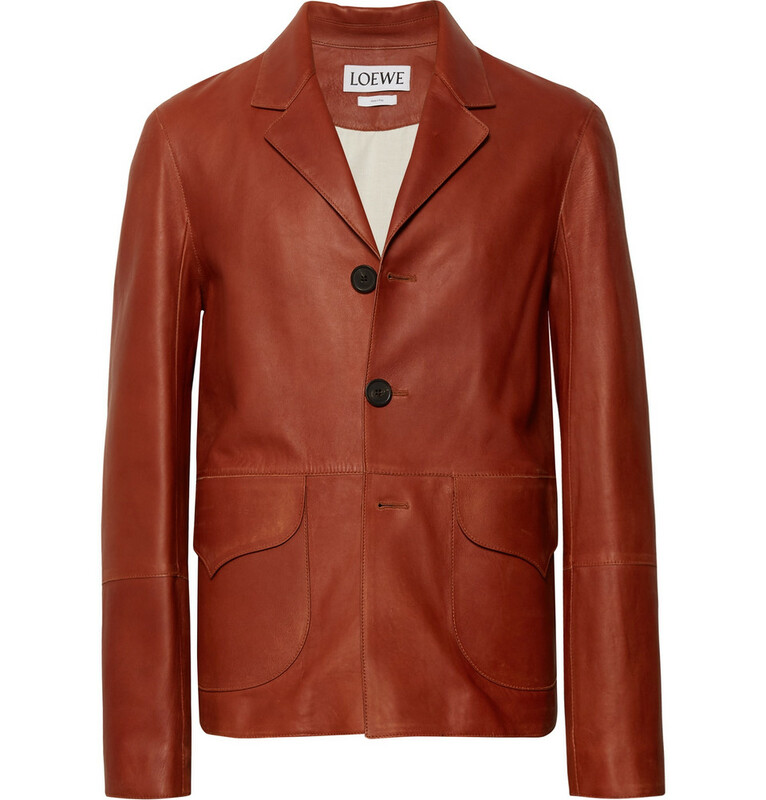 Suddenly, the jacket transforms into something else — less workwear, a little more refined. Tip: Again, if you’re worried about whether a leather jacket can work for you, pick a softer, more approachable leather, such as lambskin, calfskin, or even suede. Those will generally look less “aggressive.” A heavier, more rugged leather such as cowhide, can be paired with a cafe racer or A-2 bomber style for a very classic look if you’re cautious about looking overly fashion forward. Lastly, pay attention to a jacket’s fit and detailing. 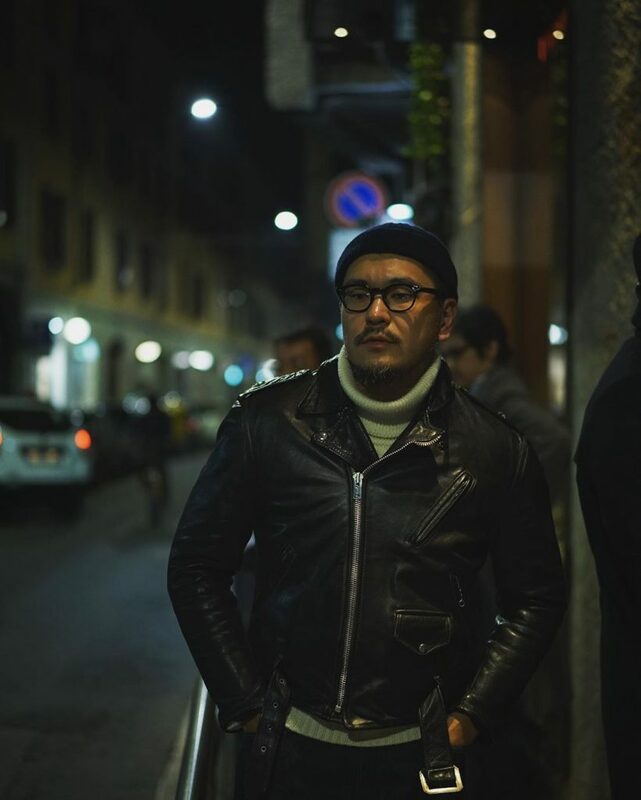 A very traditional style, such as a cafe racer, can be modernized with a softer, lambskin leather, bell-shaped sleeves, slim-fit body, and long, diagonal chest zips, such as the Margiela jacket you see above. The same style can be made from a heavier leather, fitted with a traditional silhouette, and come with traditional detailing, such as an Aero Board Racer. The first will be more contemporary and easier to wear with both jeans and tailored trousers. The second is a little more classic and better suited to traditional combinations, such as jeans and t-shirts. When shopping for your first leather jacket, think of how you plan to wear it. Do you need something with a lot of abrasion resistance, or do you plan to mostly wear this to the office? Would you characterize your wardrobe as classic or contemporary, rugged or refined? Do you want something that you can wear with both jeans and tailored trousers? Do you want something that patinas over time or something that stays looking fairly new and fresh? Will you wear this in the winter time or summer? Do you want something thick and heavy, or soft and light? Once you have a sense of what you’re looking for, shop first at the brands or stores where you normally buy your other clothes. A trad-y guy in button-downs and flat front chinos may find his perfect leather at shops such as Brooks Brothers and Ralph Lauren. 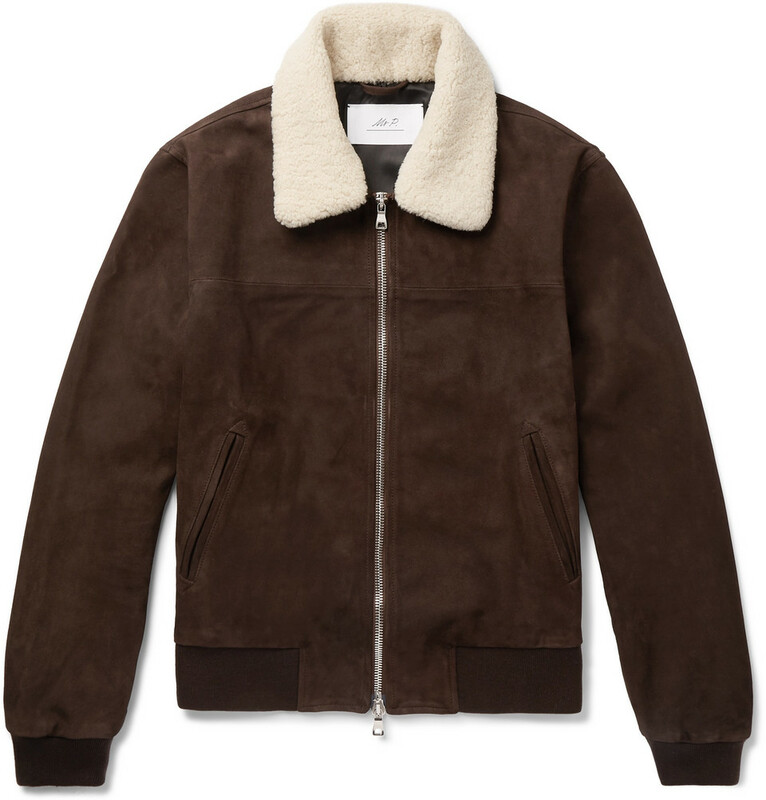 A guy who favors classic-contemporary clothes might want to look at the selection of Golden Bear and Valstar jackets at Mr. Porter and No Man Walks Alone. 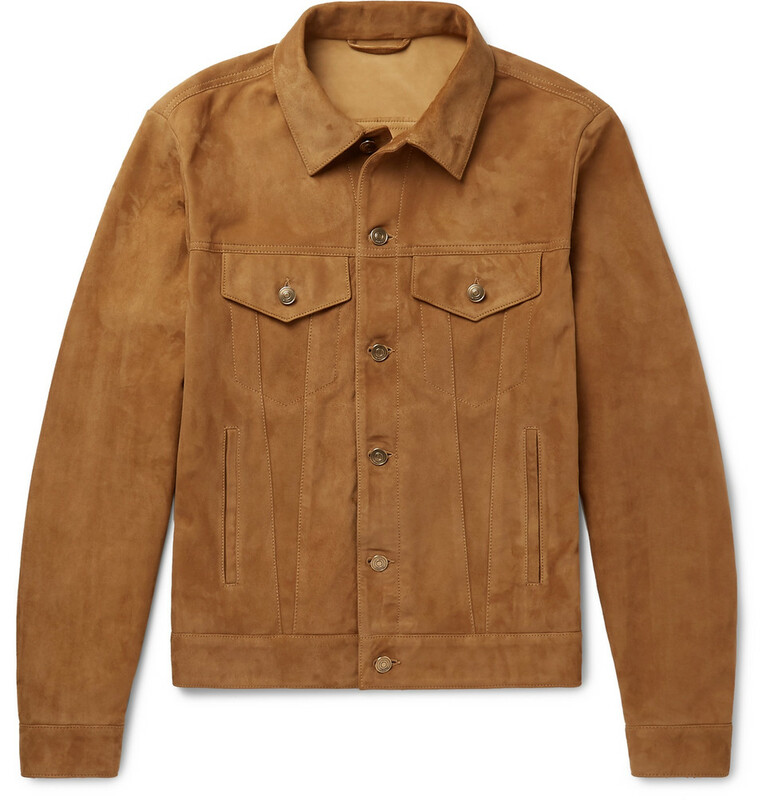 Workwear aficionados will probably like RRL, Fine Creek Leathers, and Schott. 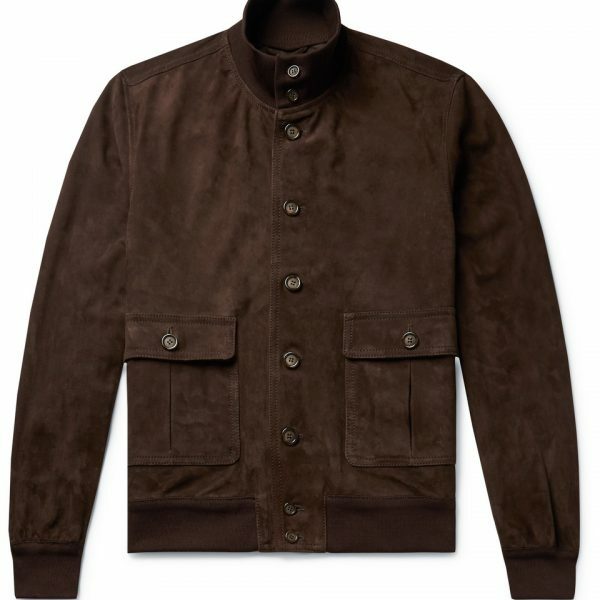 Tip: Most guys will look good in a Valstarino, which is a citified, Italian version of a traditional American A-1 jacket. It’s a style that goes well with slim-straight jeans, flat front chinos, and even tailored trousers. It’s something you can wear to work and weekends, and it’s light enough for spring and fall. The silhouette is a little rounded, so if you prefer a slimmer look, try a cafe racer. Aero’s Board Racer is great with jeans, while Brooks Brothers often has racer styles that can be worn in more conservative environments. 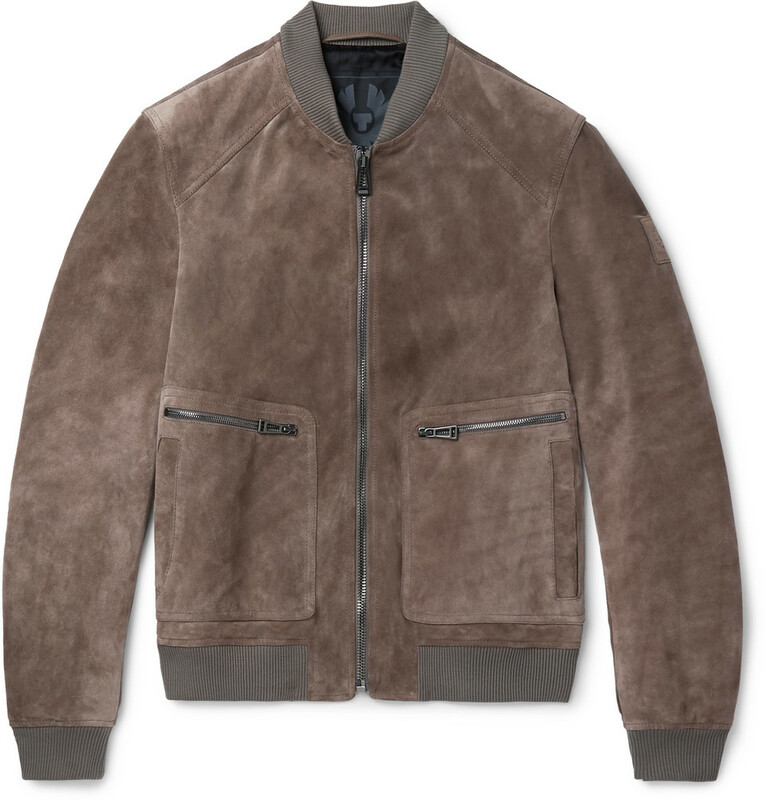 Todd Snyder, Enrico Mandelli, Taylor Stitch, Sandro, and Falcon Garments are also worth a look.